Guest Post: Author Sharon Maas Flies (And Writes) By The Seat Of Her Pants. And It Works. You are here: Home / Guest Post / Guest Post: Author Sharon Maas Flies (And Writes) By The Seat Of Her Pants. And It Works. Today, we have author Sharon Maas sharing with us her writing journey which began in the 1970s in Guyana, and her writing style, which has wings. Share your journey and style in the comments. Now, please welcome author Sharon Maas to Women’s Fiction Writers! I write my novels flying by the seat of my pants, without a plan or even an outline, not knowing where I’ll end up when I write that first word. I plunge blindly into the story with nothing more than a vague idea of a character, and go along wherever she takes me. I’m often surprised at the results. Sounds like a recipe for chaos, but there’s a method to the madness, and I quite clearly learned the method back in 1971-72, when, as a very naïve 19-year-old, I left my home in Guyana and plunged into the heart of the Amazon for the adventure of my life. I had no plan, no goal, and very little money; I just knew I had to go. I certainly had no idea that I’d end up learning not only how to navigate South America flying by the seat of my pants, but a whole new approach to life and, several decades later, how to write a novel. Parents of teenagers will be relieved to know I didn’t travel alone. Two friends, Margaret and her boyfriend Salvador, decided to come along with me when I left my journalist job at the Sunday Chronicle and crossed the Brazilian border, bound for Manaus. A month later, there we stood on the Manaus dock on the river Amazon, waiting for a riverboat to take us further. But in which direction? East, to Belem, the Atlantic coast, and then south to Rio? Or west, deeper into the Amazon basin, to Leticia in Colombia at the point where three nations meet, and Iquitos, in Peru? We didn’t care; we’d take the first boat that would actually leave with us on board, instead of promising to leave the next day but stealing off in the night, without us. It took a few days, but in the end we left on the Evandro, towards Colombia. And that was the motif for the whole year-long journey. We never knew where we’d end up. We’d meet people who’d invite us to stay a week, or run into others who’d give us an address in a village we’d never heard of; we zig-zagged across the continent, up the Amazon, across the Peruvian Andes, and up the west coast through Ecuador and Colombia. Only once did we put down roots: in Ecuador we joined a commune of American hippie drop-outs high in the hills. There we lived for six months, growing vegetables, cooking over an open fire—and smoking grass smuggled over the Colombian border. And then we moved on, from here to there, taking life as it comes, day by day and never knowing where we’d end up. It meant ceding control to where life would go, and to cede control we needed an almighty trust that somehow, it would be good, better even, than anything we could deliberately plan. And it was. It was almost as if there was already a plan in place; people we had to meet, places we had to see, and by letting go of our own plan of what we should do where, we allowed the real plan to kick in; we were following a blueprint greater than ourselves, a wonderful story in which we were the characters. It turned into a voyage of discovery. We explored the continent—that is, the four countries we traversed, Brazil, Peru, Ecuador and Colombia—from the ground; we lived in native villages, learnt Spanish, and eventually, by trial and error, learnt to think like a native. We met the right people at the right times. Events fell into place. We learnt to let go, to let life take us where it wanted. We learnt to adapt and flow like water, to deal with obstacles and assholes as they came along. Most of all, we learnt about ourselves, discovered who we really were, deep down inside. It was glorious, magical. It was once-in-a-lifetime. Fast-forward twenty-five years. Here’s me in my late forties, a stay-at-home mother by choice, with no particular desire to get back into the stress of working outside the home as a social worker. My husband earned enough for us all, and so our physical needs were cared for. Life was organised, planned out, as it should be. After all the struggles of the previous years—with my first child I’d been a single mother for several years, working part-time—I finally had the time to do something I had always yearned to do: write a novel. My second child was now four years old, in nursery school; I could get back to my true calling. What a glorious situation! For I had always been a storyteller. When I was a child of eight or nine I used to scribble Enid-Blyton knock-offs, adventure stories featuring a bunch of children with dogs and horses who had great fun and loads of adventures catching dangerous criminals. I had always been a dreamer, easily caught up in wishful thinking, dreaming happy ends to some of the not-so-nice situations I found myself in—particularly romantic ones. But could I write a whole novel? How even to begin? Some people might have advised me to start small, with short stories, but I always knew that wasn’t for me: I didn’t like reading short stories, and if I were to write anything then it had to be long. But surely you needed a plan: to know all the characters and what they would do and how they would do it, and all that in advance. I was never any good at making plans. The idea of writing a novel seemed an impossible goal, a pipe dream, far beyond my limited capabilities. I read books on the technique of writing, books on how to hone one’s craft, how to create compelling characters; I learned about three-part-structure and foreshadowing and the perils of multiple viewpoint. But the more I read, the more paralysed I felt. But then I stumbled across Dorothea Brande’s slim volume, Becoming a Writer. I read it in one sitting, and I knew it had been written for me alone. Here there was not a word about technique; it was all about discovering the writer’s magic. There is such a thing? There is! Said Dorothea, and the book was all about how to reveal it. It is, she says, a voyage of discovery. The planning, conscious mind must take a back seat to the creative unconscious mind. This can actually be learnt. The unconscious is shy, elusive and unwieldy, but it is possible to learn tot tap it at will, and even to direct it. The conscious mind is meddlesome, opinionated and arrogant, but it can be made subservient to the inborn talent through training. And it all came back to me: the art of letting go, of trusting in life, or, in this case, trusting my own unconscious mind; letting it take charge, and following where it would take me. A character came to me, a first sentence; I wrote it down, and the rest followed on from there. 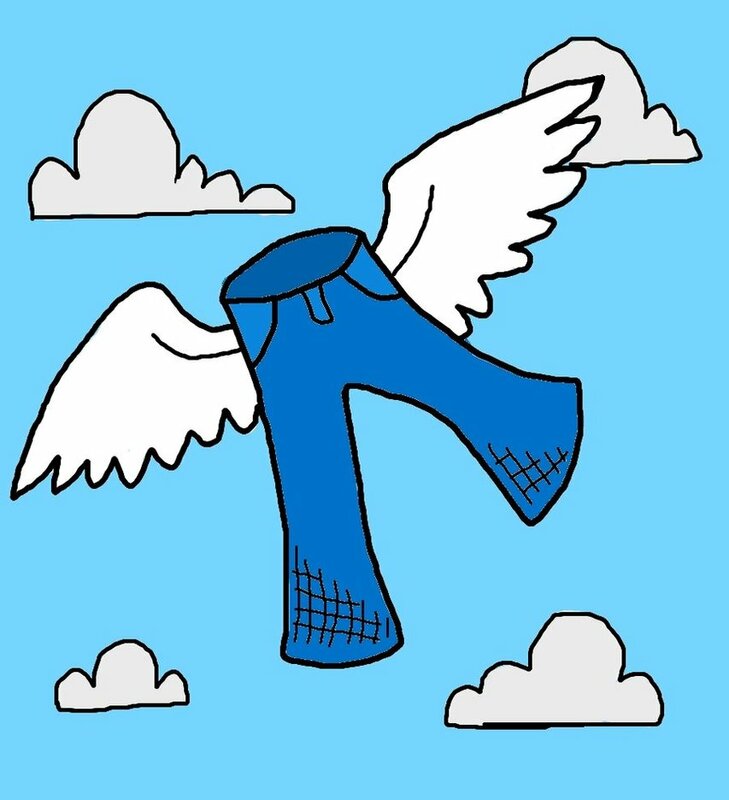 I flew by the seat of my pants. Just the way I’d travelled South America, one step at a time, one day at a time, one page at a time. It was as if the story was already written, and all I had to do was turn to it, deep inside me, to let it out. After a few years practice on a first novel that found an agent but didn’t sell, I picked myself up and started again. A chaotic first draft was the result; there followed months of revision, during which I put into action all the good advice I’d learnt on writing craft. That book was Of Marriageable Age. It sold, at auction, to HarperCollins. Now that I’m a veteran writer, participating in the international online writers’ community, I know that there’s a word for people like me: I’m a “pantser”. I also know that, more and more, writing this way is frowned upon: it’s a method, they (“they” being other veteran writers) say, for beginning writers or, at the other end of the spectrum, genius writers. Real writers—professionals—plan and plot, outline and structure; we don’t just follow each random story impulse, each imaginary detour. The controversy is illustrated perfectly in the blog post A Modest Proposal to Pantsers: Don’t and the subsequent comment trail. What the sceptics ignore, however, or don’t seem to even know, is that there’s a method to “pantsing”, a technique, a discipline, a skill; and we who work this way need to learn and develop that skill for ourselves. I’ll tell you my own secrets in my next guest blog here on Women’s Fiction Writers: coming up in April. 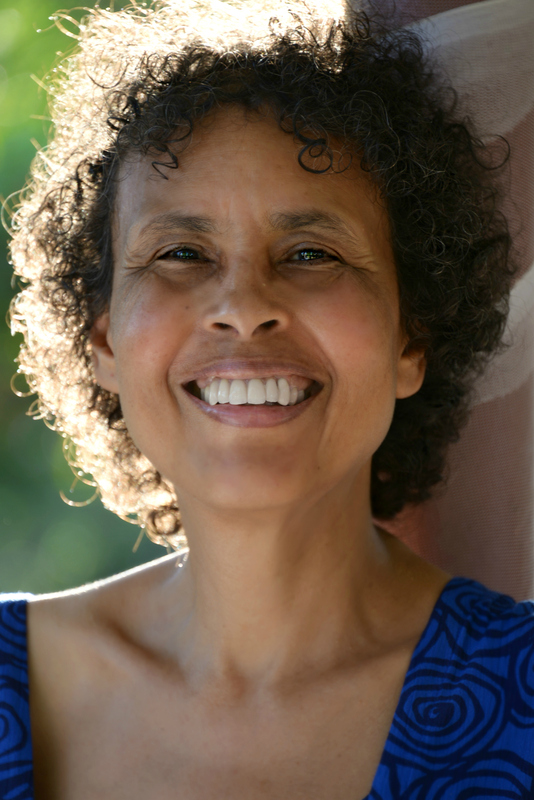 Sharon Maas was born in Georgetown, Guyana in 1951, and spent many childhood hours either curled up behind a novel or writing her own adventure stories. Sometimes she had adventures of her own, and found fifteen minutes of Guyanese fame for salvaging an old horse-drawn coach from a funeral parlor, fixing it up, painting it bright blue, and tearing around Georgetown with all her teenage friends. The coach ended up in a ditch, but thankfully neither teens nor horse were injured. Boarding school in England tamed her somewhat; but after a few years as a reporter with the Guyana Graphic in Georgetown she plunged off to discover South America by the seat of her pants. She ended up in a Colombian jail, but that’s a story for another day. In 1973 she travelled overland to India via England, Turkey, Iran, Afghanistan and Pakistan. After almost two years in an Indian Ashram she moved to Germany, got an education, got a job, got married, had children, and settled down. She still lives in Germany after three and a half decades, but maintains close ties and great love for both India and Guyana; and, somewhat reluctantly, for England. Her first novel, Of Marriageable Age, was published in 1999 by HarperCollins, and is set in India, Guyana and England. Two further novels, Peacocks Dancing and The Speech of Angels, followed. What a beautiful story. I am a pantser- though I’ll channel Amy here -except when I’m not. I’m nearing the end of editing process on my first novel. I wish it was this beautiful picture of an idea sparking in my brain and then letting it flow out. However, it more like I vomited all over the screen and then have spent the last four months cleaning it up. When I got my idea for my second novel I tried to outline but I knew that as I started to write, new scenes and direction would emerge making my outline obsolete. You gotta do what works! I am not a panster but I find it fascinating to learn about how others write and encouraged that there are many ways to produce a novel. Your travel experiences listed here captivated me. Looks like Amy has introduced me to another new author. I’m drawn to multicultural works and look forward to reading yours. What a fascinating post. I loved it. I, too, am a pantser but have read many posts about how I “shouldn’t be” or “can’t really be” one AND be a real writer at the same time, accompanied with the “don’t do this” suggestions. Thank you so much for writing this post because it makes me feel validated and not such a “weirdo” that I don’t outline and plot and follow are the completely-opposite-to-each-other rules and regulations that I’m supposed to use. Thank you for this interesting post from the perspective of an interesting woman. The lasting message for me from Sharon Mass has something to do with bravery. Not everyone could have taken the journey she took or allowed it to shape her future writing life. All the do’s and don’t’s about writing have their place, but I like the thought that writing comes from an inner life that Sharon Mass built around bravery. I am a budding writer and i guess i am a panster too. I do plan and have an outline of what the story should be but i have often found that i am not a stickler for them. I have often felt guilty regarding the lack of structure to my plans and am quite relived to hear that this has worked for someone as successful as you and that there are many ways to take this journey. Thank you for sharing this.It was a lovey read. Thanks again for reading my story; I was glad to hear that some of you found it helpful. The important thing, I feel, is to find the way of writing that is just right for YOU; and if it’s pantsing, then so be it — don’t let anyone tell you otherwise! And if not, the same. Good luck to all you writers out there… may you enjoy the journey!